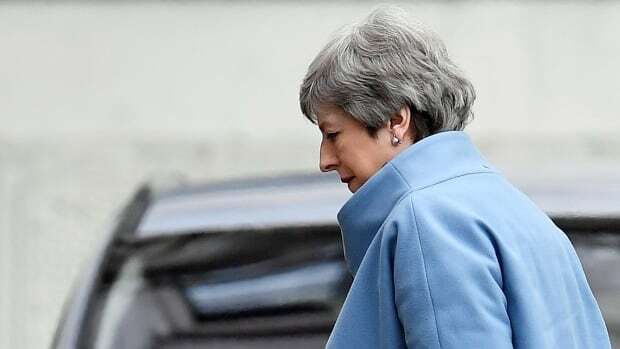 British Prime Minister Theresa May says she asked the European Union on Wednesday to delay the country’s divorce from the bloc by 3½ months, until June 30. “As prime minister, I am not prepared to delay Brexit any further than the 30th of June,” May told a rowdy session of Parliament. “I have therefore this morning written to President Tusk, the president of the European Council, informing him that the U.K. seeks an extension to the article 50 period until the 30th june,” she said. Earlier, May’s Downing Street office said she would write to European Council President Donald Tusk requesting “a bit more time” for Britain to approve a divorce deal with the EU, delaying departure past the scheduled date of March 29. “Theresa May is desperate once again to impose a binary choice between her deal and no deal despite Parliament clearly ruling out both of those options last week,” said Labour Party Brexit spokesperson Keir Starmer.